Covered California, the state insurance exchange, announced Monday that it was extending the 2015 insurance enrollment period through April 30th. 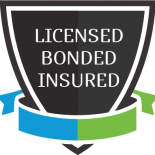 Only those Californians who can affirm that they didn’t know that they would incur a tax penalty if they did not have insurance in 2015 are eligible for this extension. The 2014 tax year return is the first year that this penalty will be assessed, and so in theory the first time that many uninsured Californians have been confronted with this reality. While the debate continues over universal health care coverage, there is a group of newly insured and about-to-be-insured whose program is uncontroversial. But Medicare has its own hazards. Whether you are a caregiver with a loved one who’s approaching age 65, or a member of the Sandwich Generation nearing that milestone yourself, knowing how to navigate the maze of Medicare enrollment is the key to peace of mind. Start early! Don’t let the mysteries of Medicare take you by surprise. Enroll on time! Procrastination or delay can mean permanent late penalties, and a possible delay in coverage. Your personal deadline is either around your 65th birthday or later, only if you (or your spouse) have employer health insurance after age 65. Don’t make assumptions about whether you’ve worked long enough to qualify. There are options so get informed. Pre-existing conditions or poor health have no effect on your eligibility or premium amounts. Yay! However, Medicare isn’t free. You will pay premiums for coverage and co-payments for most services. If you qualify for a low-income program, you may get help that covers your premiums or provides low-cost prescription drug coverage. Medicare doesn’t cover everything, and you may have to buy the aptly-named ‘gap insurance’ to cover vision, hearing, and dental care. Medicare will interact with other health insurance that may apply to you, so be prepared. And finally, no one will notify you when it’s time to sign up, so keep an eye on the calendar! The right time for Medicare enrollment depends on your circumstances. But if you don’t enroll in Medicare at the appropriate time and then try to enroll later, you may incur permanent Medicare late penalties and a delay in coverage. There are three different time periods during which you can enroll in Medicare Parts A and B. The Initial Enrollment Period (IEP) lasts seven months — from three months before the month in which you turn 65 to three months after that month. (For example, if your birthday is in September, your IEP begins June 1 and ends December 31.) Sign up for Medicare during this time frame if you don’t qualify for the special enrollment period. The Special Enrollment Period (SEP) applies to you if you’re 65 or over, have group health insurance from your or your spouse’s (active) employer, and if the employer has at least 20 employees. This SEP is in effect while you have this coverage and for the eight month period after the employment – or the coverage – ends. Automatic enrollment: If you’re already receiving benefits from Social Security or the Railroad Retirement Board, you’ll be enrolled automatically in Medicare Parts A and B at age 65 or later, without having to apply. If you qualify for an SEP, you can decline and delay Part B enrollment. The General Enrollment Period (GEP) allows you to sign up for Medicare if you didn’t enroll during your IEP or SEP. It’s a three month period each year from January 1 to March 31. 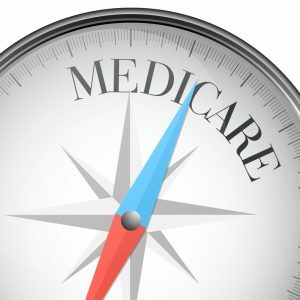 But, if you sign up during a GEP, your Medicare coverage doesn’t start until next July 1, and worse, you may incur late penalties that are added to your Part B premiums for all future years. Just like with taxes, it seems like there are always special circumstances that ‘may’ apply in specific situations to certain people. Be sure to take advantage of all the free resources available to you so you know that you’re signing up in the right way at the right time. There are even resources specifically available to caregivers who are assisting loved ones with this task, so don’t be shy – get help and get it right! Medicare and Medicare’s help line at 800-633-4227 (TTY 877-486-2048). Social Security or call 800-772-1213 (TTY 800-325-0778). California State Health Insurance Assistance Program (SHIP) or call the Eldercare Locator at 800-677-1116 for the SHIP phone number.